Google's modular Project Ara handset appears to have another challenger on the way. The appropriately named Puzzlephone will give users the option to change three parts of the handset. The Brain is where the electronics of the phone will live, including the camera. Want a better snapper on your Puzzlephone? Simply snap out the current Brain and snap in a new one. The Spine is where you will find the speakers, microphone and display. And the Heart is where you will find the Puzzlephone's battery. The modular handset is being built by Finnish startup Circular Devices. A forked version of Android will drive the phone. Eventually, the device will support other platforms, like Windows Phone, Sailfish and Firefox OS. Puzzlephone is expected to launch sometime during the second half of 2015, priced the same as a mid-range smartphone. You might not get the full customization of Project Ara, but you still will have choices to make. One decision you'll have to make, is whether you want a modular phone without the Google Play Store. which seems to also makes it less modular than ARA devices... Puzzlephones seems to only have 2, maybe 3 modules... screen and 2 on the back... (maybe you can disassemble them further, IDK) Anyway I would rather have them make cool ARA modules than a competitor that ties you to its own. its going to great swapping in a 16mp from 13mp one. How can this be a "challange" for the Ara Project? I hope they will come up better name which more attractive but simple. 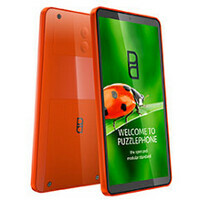 if anybody hold a phone called PuzzlePhone, the others would make a joke and said "Hey! your phone look nice and what's it call again? puzzi phone?.